Delhi Ridge, which is popularly one of the most known part of the 'green lungs of the capital’, is located in the southeastern part of Tughlaqabad, close to the Bhatti mines. Delhi Ridge is actually the northern branch of the Aravallis and forms one of the most important geographical regions of Delhi. It adds to the greenery of this booming city. It not only guards the city from the sultry winds of the Thar Desert Rajasthan extent but also brings relief to the people from high temperatures. If we talk about Delhi Ridge history then visitors finds the best ecosystem services as the Delhi Ridge renders to the city are of immense significance. It not only enhances the greenery of the city but, also protects it from the extreme heat of the Aeolian Desert. This ridge is considered to be an important part of the capital’s environmental heritage. 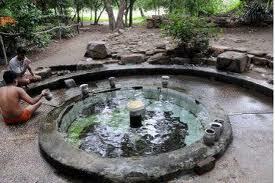 A number of civilizations have lived in this naturally beautiful and self sufficient region of Delhi over the years. This ridge is also an ideal place for the bird watchers. Delhi Ridge is situated at the southeastern part of the Tughlaqabad. It is located at a close proximity to the Bhatti mines. Delhi Ridge is open on all days between 10.00 am to 4.00 pm, so it can be visited at any time of the week. It will take you to the different parts of the ridge. You can also hire auto-rickshaws, taxi or even board a metro train. Nearest Railway station: The New Delhi Railway Station. Nearest Metro station: The Rajiv Chowk Station.